The drone market in Japan is gaining traction in both the consumer and commercial businesses. While Chinese manufacturers still dominate the consumer segment, several strong Japanese manufacturers are being seen on the commercial side. Showing how fast the local drone industry is advancing, currently several times a year large events are being held that display the latest consumer and commercial drone technologies and services. For example, watch the above video to see what was on display at the International Drone Expo 2016. The Japan Drone and IDE Tokyo are other expos being held. The following are 10 Japan companies that are actively developing new and better drones for a wide range of commercial applications … from movie to construction to agriculture to retail industries. While as of Dec 2016 these are the companies to watch in 2017, as we move into 2017 other strong competitors may emerge … so check back for updates. Note: This list is focused on the manufacturers of the multicopter type of UAV. A spin-out from Chiba University, ACSL is one of the top industrial drone developers in Japan. Earlier in 2016 they received investments from UTEC and Rakuten, Japan’s e-commerce powerhouse, toward further developing technologies and services. The MiniSurveyor line of multi-copters has been utilized in a variety of commercial applications throughout Japan, from agriculture to infrastructure inspections to retail package delivery and aerial photography. The MS-06LA which has a maximum payload capacity of 6kg (13 lbs) is the current model, although a new model, the PF1 was just introduced and was utilized in partnership with eCommerce giant Rakuten as part of NTT DoCoMo’s Drone Project where the cellular LTE network is being tested for long distance flight control. The experiment, which was carried out as a pre-cursor to future long-distance package delivery by drones, demonstrated that an order placed from a smartphone was correctly received by the drone-based delivery system, and that remote control via the LTE network can be conducted in a stable manner. The ACSL MS-06LA multicopter was also utilized on another Rakuten project for product (golf balls, refreshments, other) order and delivery at a golf course and a package (wine) delivery test project with Japan’s major retailer Aeon. ACSL also has many areas of technology development, including a version of their drone that uses a tethered electricity supply system that can carry a payload up to 30kg (66 lbs) for up to 2 hours for longer flight times for tasks such as radiation monitoring using a γ-ray camera, crop-spraying and infrastructure inspection. enRoute manufacturers its Zion line of multicopter models for a variety of commercial applications, including land survey, infrastructure inspection, security, and agriculture spraying. As with ACSL, enRoute was also involved in a test of the cellular LTE network as part a project to test long range drone control where they partnered with cellular phone carrier NTT DoCoMo and MIKAWAYA21 for a package delivery service experiment. ISTS provides a number of UAV systems, from fixed wing to helicopter and multicopter. The Martin line of multicopter includes the S-I and M-II models. The M-II for transportation infrastructure inspection comes with support for various sensors, including thermal and near infrared and RGB cameras, while the S-I is made for aerial photography applications with support for various models of RGB and infrared cameras. Saitotec manufacturers the Yoroi and Kabuto line of UAV multicopters. The Yoroi, which includes a new carbon shell design, is a heavy lifting model with two versions that have maximum payload specs of 10kg (22 lbs) and 35kg (77 lbs), and coming with massive wingspans of 1,790mm and 2,400mm, respectively. The Kabuto is Saitotec’s other working drone series which utilizes carbon plating and folding rotor arms for compact transportation. It comes in 4 to 8 rotor versions, with max payload specs of from 2.8kg (6 lbs) to a massive 35kg (77 lbs), and max flight times of 20 to 40 minutes. Prodrone’s PD series of multi-copters can fly in the rain … from the small camera drone PD4-AW which is waterproof and is capable of a water landing to the 20kg (44 lbs) payload possible PD6B-AW that can fly in the rain. Prodrone also has developed a version of the PD6B-AW, called the PD6B-AW-ARM, that is equipped with two internally-developed robotic arms, enabling it to accomplish a variety of tasks … check out this unusual drone in the below video ! AeroSense is a joint venture between Sony and ZMP Inc for the development of drone based inspection services. The current platform built for their service is the AS-MC02-P multicopter, which is capable of fully automatic flight missions. The below video shows a example of a AS-MC02-P drone flight mission. The company has developed the αUAV2 which is an octocopter with fold down rotor arms for compact transportation. The airframe has optional hardware and software service add-ons. Or particular interest is the TDOT option model which is integrated with a IMU and LIDAR system for 3D mapping applications. Japan Circuit, an IT company, offers their drone related business under the JDRONE name. In addition to selling other brands like DJI and offering drone related services, they have developed their own multicopter, the JH950, which they can customize for photography, inspection, agriculture spraying, and other payloads based on the customer’s specific application. IT company Optim in collaboration with Saga University has developed the Agri Drone which supports multi-spectrum cameras toward helping to identify pockets of insects for which it can then do a precise, pinpoint attack on those areas with pesticides or other chemicals … and with a bug zapper attachment it can fly at night when insects are most active and “zap” them. The end result is a reduction of pesticides used on farm lands. ActivLab has focused mainly on providing high quality imaging platforms. 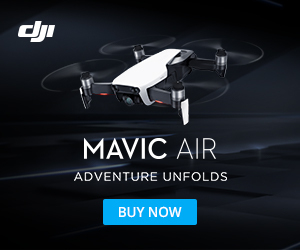 In addition to utilizing 3rd party multicopters, based on its experience it has also developed its own hexacopter, the Digital Cinema Copter, which is a high end, high functionality system for shooting high quality photography and video. The above is focused on multicopter airframes, however, before the coming of the commercial multicopter Japan had been using helicopter drones for agriculture since the 1980’s to spray pesticides. Two heavyweights, Yamaha and Yanmar, have mini-helicopter drone systems, with the Yamaha RMAX having 2,600 systems operating worldwide as of 2014. In addition to those companies developing and manufacturing their own drone platforms, several of Japan’s top organizations are working on commercial solutions that integrate drones. These include Hitachi Systems which has a drone operation and data management service, security provider Secom that has an integrated drone solution, NTT using cable laying and inspection multicopters, and security and inspection solutions from NEC Corporation. Think the information on your product needs modification/updating or think your company’s product should be included? CONTACT US and let us know. Flirtey delivery drones | Australian commercial drone startup co.
Are drones destined to replace sheepdogs ? !